Traditions are always hard to break, but for home gardeners, this might be the hardest: There is absolutely no need to till your soil. That statement goes against everything most gardeners believe is an essential part of being a gardener, but Lee Reich, a noted expert, says the statement is true. “Not only is it not necessary, it’s actually not best for the soil. There’s more and more research done by USDA and universities showing that the whole idea of no-till improves the soil,” he says. But the best part of not tilling? No weeds. Well, maybe a few, but not many. Reich has a large garden in New Paltz, New York, and it’s clean and tidy. 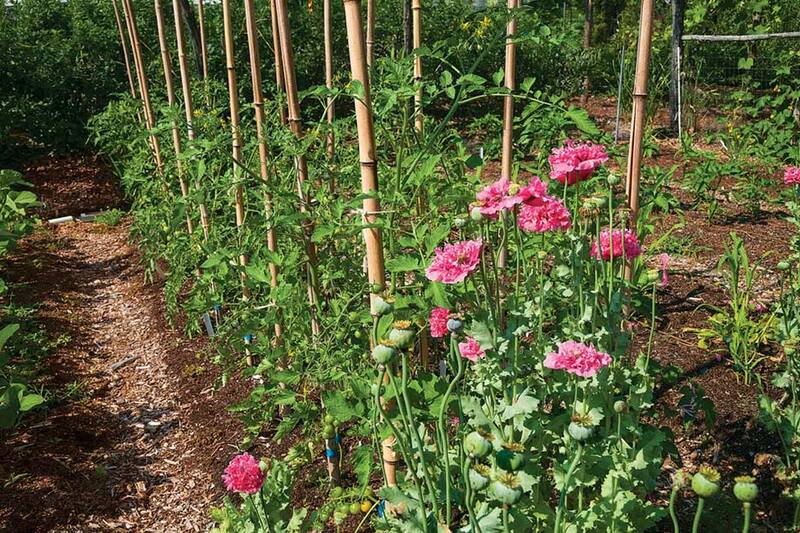 When he goes out early summer mornings, before the day gets hot, he spends his time doing other jobs — planting seeds and transplants, adjusting his drip irrigation, tying up tomatoes, and, of course, harvesting. Nary a weed can be spotted. The amount of time he spends weeding is just about five minutes. That’s not per day—that’s per week. From farm to garden. If the word “no-till” sounds familiar, you might have heard it from farmers. They have been using the no-till practice for several decades, abandoning the plow and just putting their seed directly into the ground. To control weeds, farmers use chemicals. Home gardeners — and very small farms, of one to four acres — don’t need any chemicals at all. Reich, whose garden is organic, will show you how. So why turn the soil over at all? It’s just what people have done for generations. “People like to till, or they think they have to till,” says Reich. He explains that soil is full of weed seeds. They have lain dormant in the ground for years, and when a gardener turns the soil over, he is simply exposing those seeds to light and air. That lets the seeds germinate, and that is where the weeds come from. Reich says drip irrigation is crucial, putting water exactly where it’s needed. Proof is in the soil. Reich knows his soils. 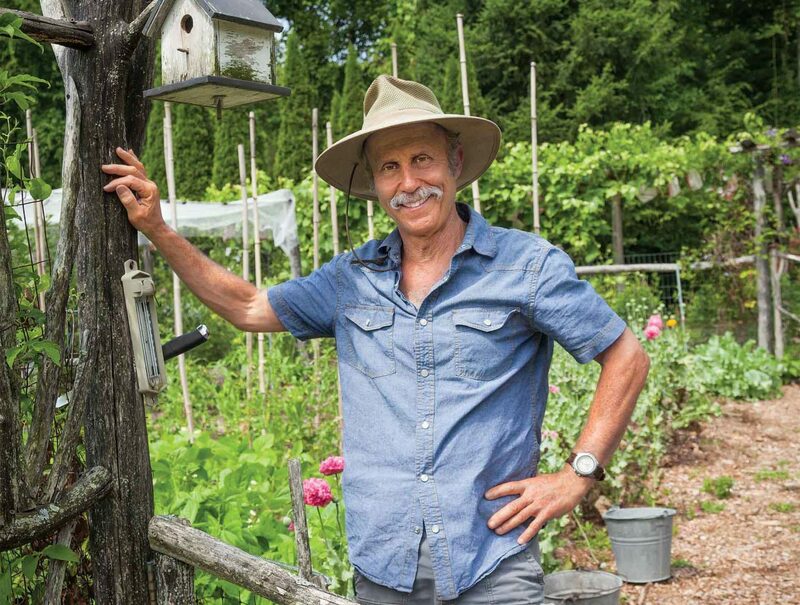 He has a master’s degree in soil science and a Ph.D. in horticulture, he worked for USDA and Cornell, and now he consults and writes about gardening, having authored several books. (He’s a smart guy on many gardening topics, but uncommon fruits are a passion, something he test-markets to restaurants in New York City.) He knows gardening well — as his own garden proves. It’s clean, productive with vegetables, fruits, and flowers, and the soil tilth is incredible. Stick your hand in the soil and it slides down effortlessly almost to your elbow. He has not tilled his garden soil for 33 years. So how does he accomplish this? Reich says his plan for a weed-free garden has four basic rules. The first is don’t till to begin with, not even to start a garden. The only exception is if the ground is compacted by foot or car traffic; that’s sufficient excuse to till and loosen the soil. Reich starts a garden by mowing an area, then putting four layers of newspapers over the entire area to kill existing vegetation. The paper will soon decompose and add organic matter to the soil. Making beds and paths. He wets the paper, then spreads a 1-inch layer of compost only where he wants his planting beds. For foot traffic, he forms paths with a ground mulch such as wood chips. Choose your widths for each wisely, he advises. Paths that are too wide are a waste of space, too narrow they’re a chore to walk, especially when the garden plants start leaning over. Reich likes paths of 18 inches wide and garden beds 36 inches wide. Reich’s second rule is to always keep the soil covered. For plant beds, that’s compost; for paths it’s mulch. The compost will cover weed seeds and build up the organic matter of the soil over the years. A good garden soil will have an organic matter of 5%, and a great one is 8%. Reich’s soil tests come in at 15% organic matter. “One of the keys to really good agriculture is a lot of organic matter in the soil,” says Reich. He makes his compost by using mostly hay cut from one of his fields, but everything that is organic from the garden goes into his compost bins. His recipe is this: In the compost bins, layer old, dead plant material, and alternate it with layers of nitrogen. Reich likes to use manure. He adds water, then rotates the compost to give it air. Narrow paths between garden beds are for foot traffic. Feet never go into the garden beds themselves. Finally, use drip irrigation. That puts water only where you want it — on your garden plants. When you use a broadcast sprinkler, you are watering everything everywhere, including places where weed seeds are. 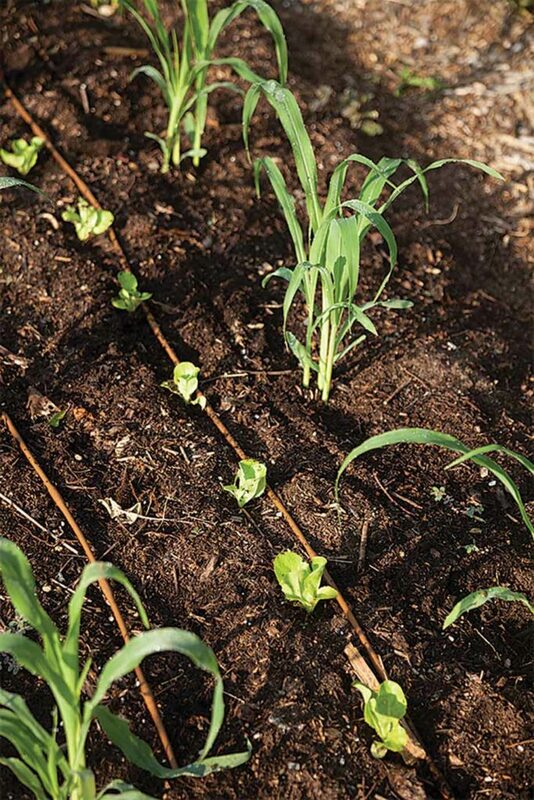 Drip irrigation, along with the compost layer on top, will cut water use dramatically. Destruction in tilling. A look at Reich’s garden, not tilled for 33 years and looking quite neat, makes the idea of no-till worth considering, if only in a spot for a year or two. Tilling, says Reich, destroys soil structure and burns up organic matter when it is exposed to oxygen. Tilling destroys the biological life in the soil. It all makes sense—it’s just that turning the soil each spring is so ingrained in a gardener’s mind, something done for generations. When Reich wrote one of his books, “Weedless Gardening,” he remembers one criticism in particular. “The only bad review I got was when someone said, ‘What’s gardening all about if it’s not about tilling?’ ” For those who must dig, Reich jokingly recommends reserving a spot just for that alone, in a spot away from the rest of your garden. Dig all you want, he’ll say. You’re wasting your time.